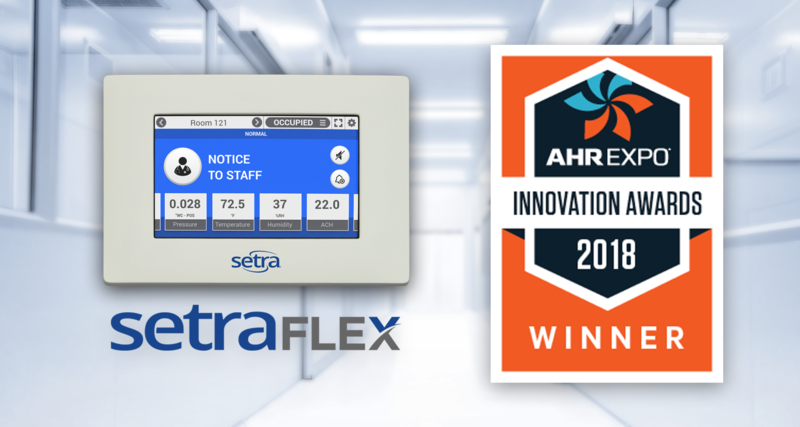 Setra Systems is proud to announce that the Setra FLEX Environmental Monitor has won the 2018 AHR Innovation Award in the Building Automation category. 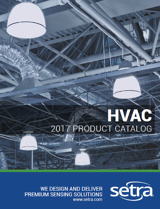 The AHR Expo (International Air-Conditioning, Heating, Refrigerating Exposition) is the world’s largest HVACR event, drawing in more than 2,000 exhibitors and 65,000+ attendees every year. Setra has been exhibiting at AHR for over 30 years. Setra FLEX™ is used to ensure safe and energy-efficient indoor environmental and ventilation control conditions for operating rooms, isolation rooms, bio-safety laboratories, clean rooms, pharmacies, and many other types of pressurized critical spaces. FLEX is Setra’s most advanced room monitor and controller and joins a growing family of products designed for sensitive and heavily-regulated environments. Visual and audible alarms are configurable and fully comply with ASHRAE Standard 170, as well as US Pharmacopeia 797 and 800. Setra FLEX will be recognized in a formal ceremony during the 2018 AHR Expo which will take place on Jan. 22-24 at McCormick Place in Chicago, IL. Setra will be exhibiting at booth #4021 where you can view Setra FLEX in person and speak with our professional experts face-to-face. CLICK HERE to learn more about the Setra FLEX.